Little chefs can cook up the biggest Play-Doh buffet imaginable with lots of kitchen-themed tools and 10 large cans of Play-Doh compound. 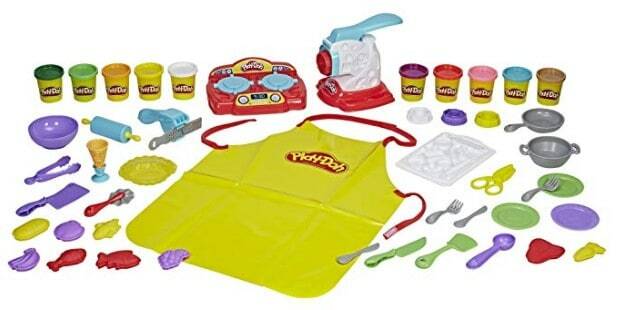 Amazon has Play-Doh Kitchen Creations Super Chef Suite for $19.57 (Reg $45) with FREE Shipping on orders over $25.00 or with Amazon Prime Orders. With this big box of Play-Doh kitchen gadgets, kids have everything they need to create imaginary appetizers, make-believe main courses, and delightful pretend desserts.